I thought I’d take the next few posts to show you the quilts I made for myself that I took to my guild’s quilt show last weekend. I just love the fabrics in this quilt named Endless Summer. It has 14 pieced blocks alternating with the coordinating printed blocks. The piecing pattern is a Schnibbles pattern but I made more blocks than the patterns suggested 9. 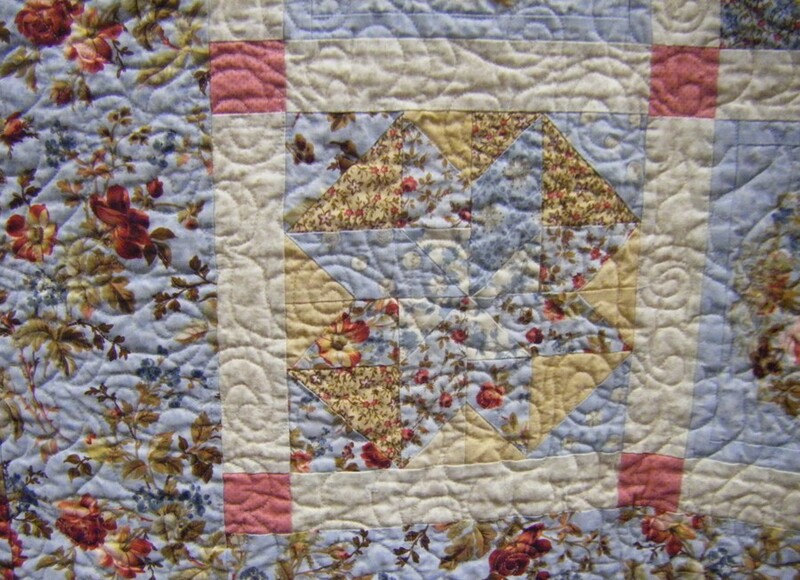 Endless Summer is quilted with an all-over pantograph design of flowers & swirls. 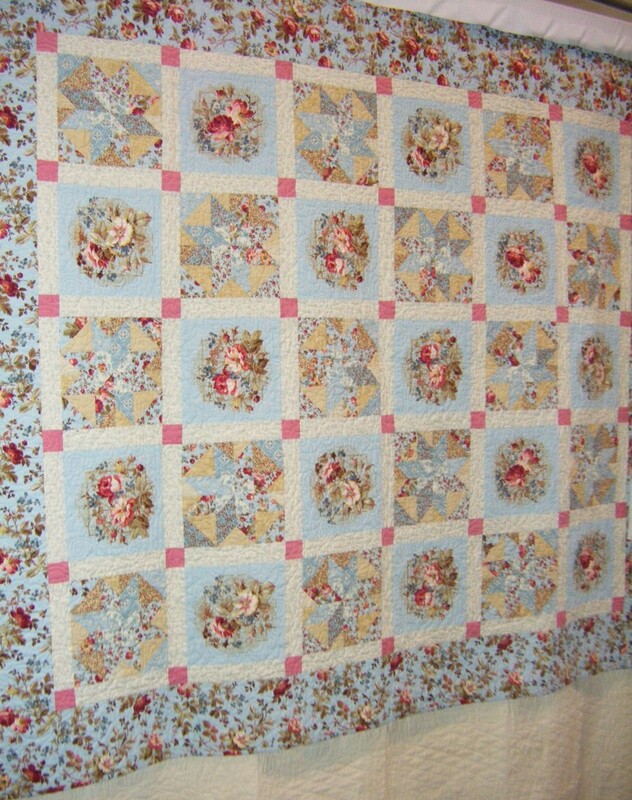 I love this pattern and while it fit with the quilt fabrics, it doesn’t detract from the pieced blocks. I use this quilt on my side of the bed when my hubby isn’t interested in more covers yet. Plus it is a joy to awaken to! Pantograph designs for quilting are priced between an all-over meander and custom quilting.